Currently ScreenSteps Desktop does not update your display when other authors add lessons to the library. 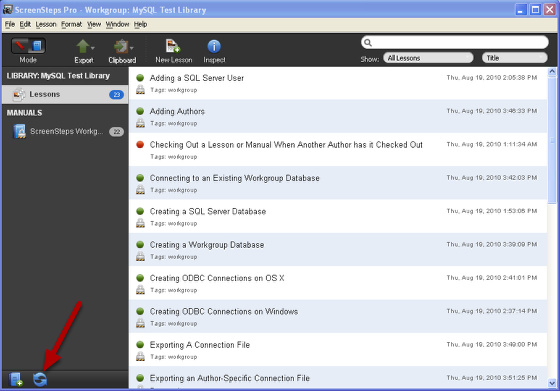 You can manually refresh the list of manuals and lessons using the Refresh button in the bottom left-hand corner of the window. 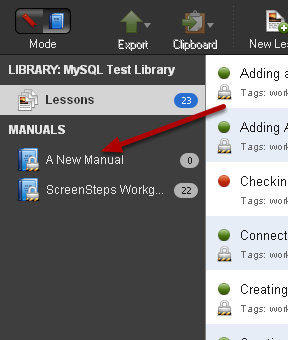 Click the Refresh button to update the list of manuals and lessons displayed in ScreenSteps. Any new manuals or lessons will be displayed.